Lightweight and durable aluminum construction is ideal for commercial displays as well as casual sketching painting and airbrushing. 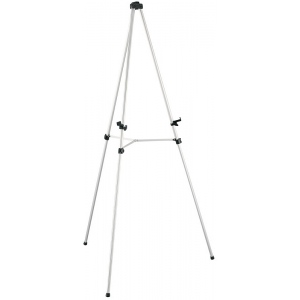 * Tripod design features ¾" diameter 2-stage telescoping legs equipped with non-skid rubber feet and quick-release locking mechanisms. 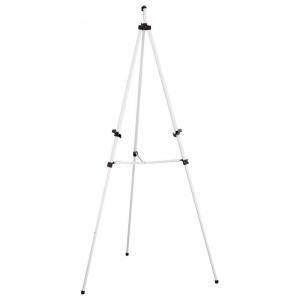 * Features include a central cross-bracing for added strength and rigidity and height adjustable lower canvas support brackets. 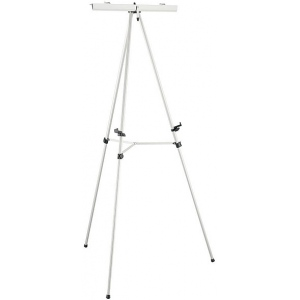 * Accommodates canvases/panels/display boards from 3" to 33" in height and 1" thick. The type is artist, display.